MBSS Light is the combination of math, color, motion, and creation. Travel through a universe filled with brilliant orbs of light. Orbs are depicted using real-time 3D particle animation where many of the attributes can be configured from the Light Properties dialog. Field-level Online Help is included as well as an effective variety of Themes. Registration offers the ability to define on-screen messages and copy the display to the Windows clipboard. This product is being offered as Shareware. See the Registration window from the product's Properties Window for details. 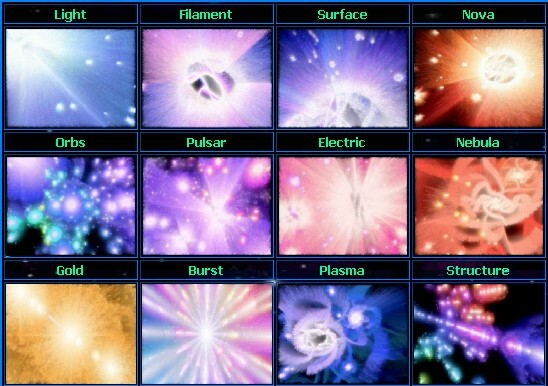 Features: * Beautiful themes showcase the various Orb particle patterns. * Hue Cone allows for particle hue and intensity setup. * Define surface properties for the Orbs. * Define Hue Wheel transition effects. * Cycle through Templates in a selected Directory. * Capture Image (preview or full screen) to Windows Clipboard. * Field-level online help for all properties. * Save Templates to share with other users. * Product works internationally per Windows Regional Settings. User Feedback: * Masterpiece! * You are correct. MBSS Light IS amazing. * MBSS Light is a mega-upgrade of Galaxies. * Light is now my favorite screen saver. * Where did you learn how to create light? This is so awesome! * I never knew the universe was so colorful. Here is my registration payment. * After picking my jaw up from the floor, I went to PayPal to send money. Thank you.